Quintessentially Shaker in spirit and form, the Shaker Round Stand is a clear descendant of its namesake style. 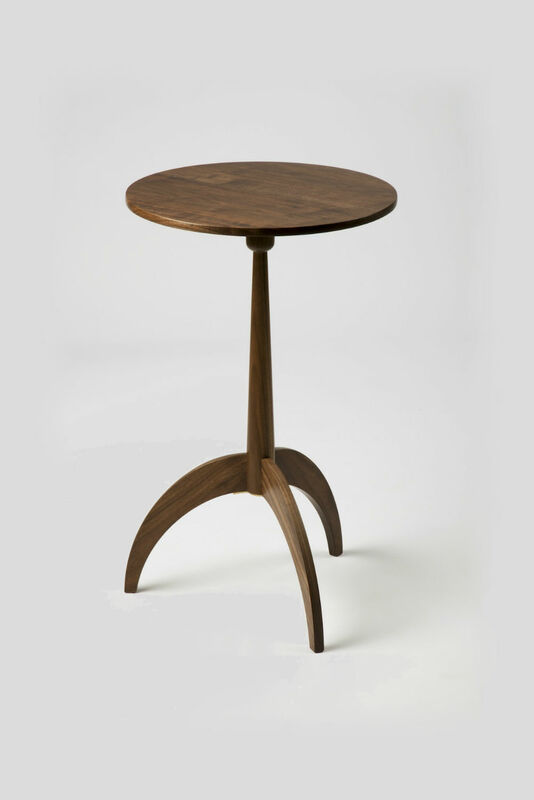 The small stand rests atop three slender, curved legs that rise in a reverse taper. The legs then join a central column, forming a distinctive base that provides a steady platform for small necessities. The stand is handmade in cherry or walnut and utilizes traditional mortise-and-tenon joinery. The Shaker Round Stand could well have been the product of a late 19th-century work stand. Crafted by hand, the stand is not a cutting-edge statement of current fashion, but rather a synthesis of what has been given to us by craftsmen and designers of the past. 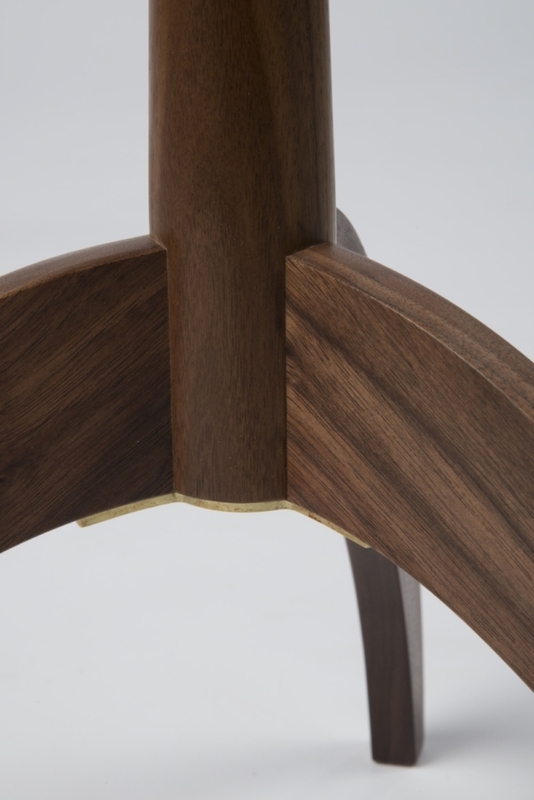 Marked by a base of three arcing, reverse-tapered legs that support a solitary central column, the table’s mortise-and-tenon joinery ensures its impact will last. The hand-turned central column rises in a reverse taper to a wide finish where it joins the table base. The tabletop is handmade from wood from a single tree and sanded smooth, releasing the natural warmth of the wood. The table is designed to work well with nearly any bedroom or living room ensemble. Ideal for use as a bedside table or a companion to a favorite chair, the Shaker Round Stand keeps life’s small necessities close at hand. Quintessentially pure Shaker in spirit and form, this small stand is an interpretation of an early 19th-century piece. It nicely complements our rockers and beds or can stand alone.